KING SALAMI HITS THE ROAD! 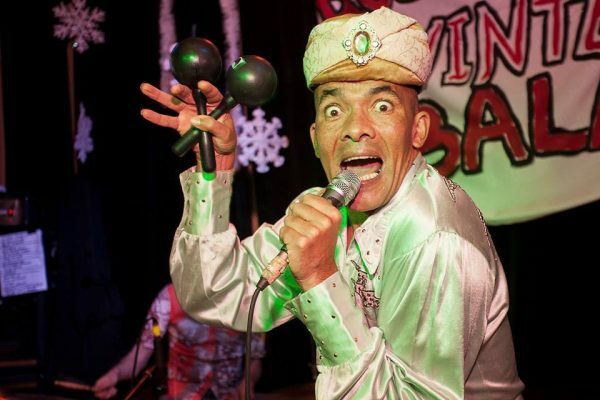 East London garage r’n’b legends KING SALAMI & THE CUMBERLAND 3 have announced their first ever UK tour, which they’re celebrating with a brand new video! Having released numerous records and toured all over the world, the Hackney quartet came second in BBC TV’s The UK’s Best Part-Time Band series last year. They now step up a gear with the release of their long-awaited third album and a full UK tour. Their new video, for the title track of their forthcoming album Goin’ Back To Wurstville, was shot on the band’s recent dates in Japan. The album is set for release through Dirty Water Records on Friday 3 March, when they kick off the tour with a special London launch party at Nambucca, Holloway Road. Full tour dates are as follows…. Fri 24 March Newcastle – THINK TANK? ‹ STONE FOUNDATION ANNOUNCE NEW ALBUM!